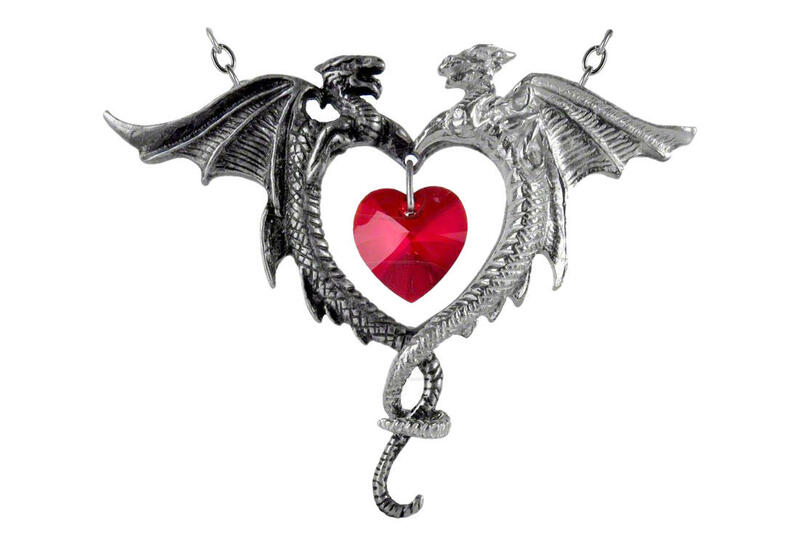 Two tone dragons intertwined at the tail while holding a red heart shaped Swarovski crystal symbolizing conflicting duality of the heart. 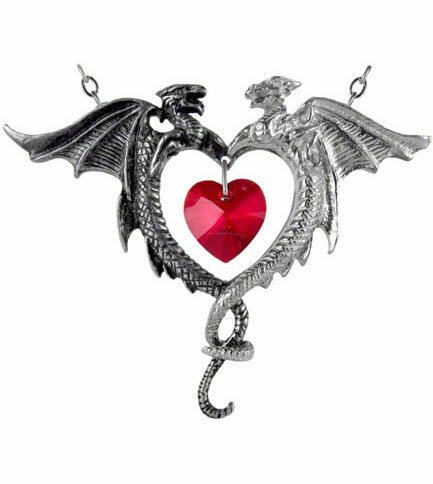 Made of fine English pewter with a large Swarovski crystal. The pendant measures approximately 2.87 inches wide by 2.28 inches high and 0.43 inches deep. The chain measures 23 inches. By Gothic Alchemy.